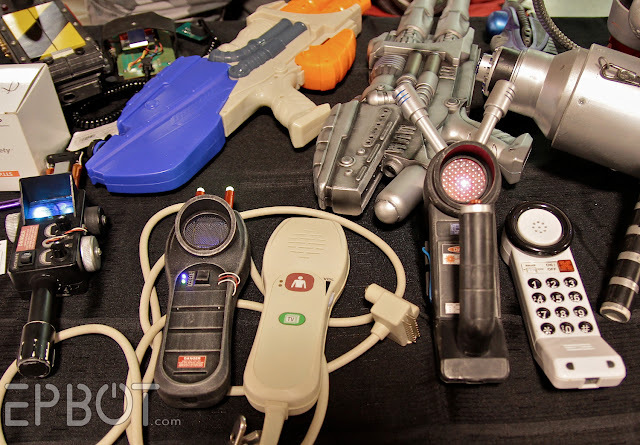 If you've never heard of them, Maker Faires are a celebration of makers - DIYers, hackers, programmers, and other crafty types. 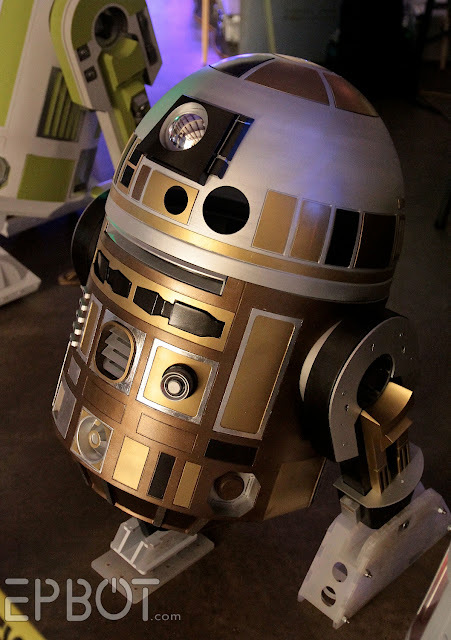 At our little one here in Orlando we had a smattering of prop builders, artists, 3D printer programmers, model rocket builders, and other assorted scientists and geeky types. It was small - all housed in one giant warehouse at the fairgrounds - but John and I still managed to spend an enjoyable few hours browsing and chatting with the exhibitors. These toy robots were fun to watch: they can sit, stand, and walk on their own! 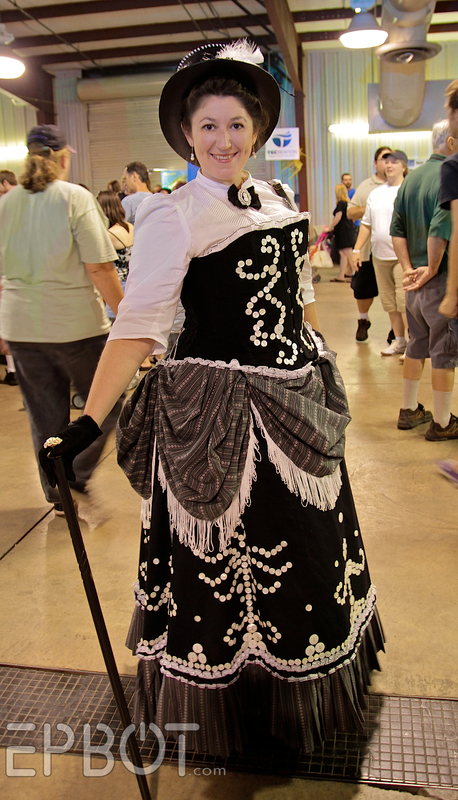 I'm not sure if she's a steampunk fan or not, given her lack of gadgetry, but I do love that outfit! 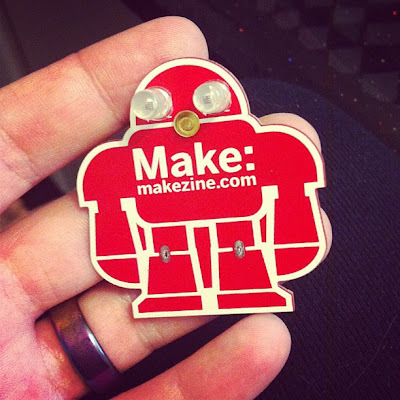 For $3 you could buy a little pack of parts and solder your own blinking robot pin. SOLD! The nice volunteer holding my pin for me was veeeery trusting. 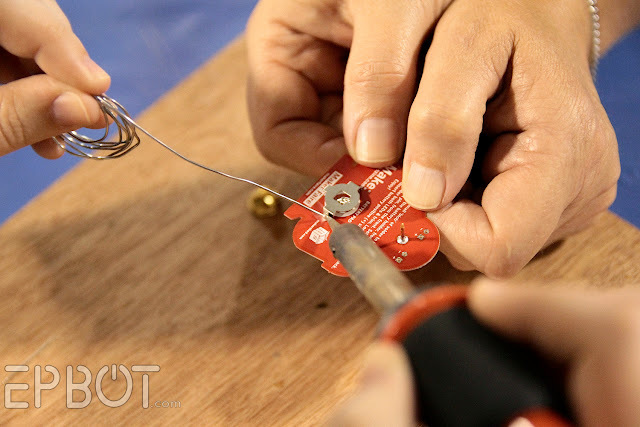 I also made a real mess of my solder: she had to fix it for me when my battery pack snapped off the second I finished. Heh. 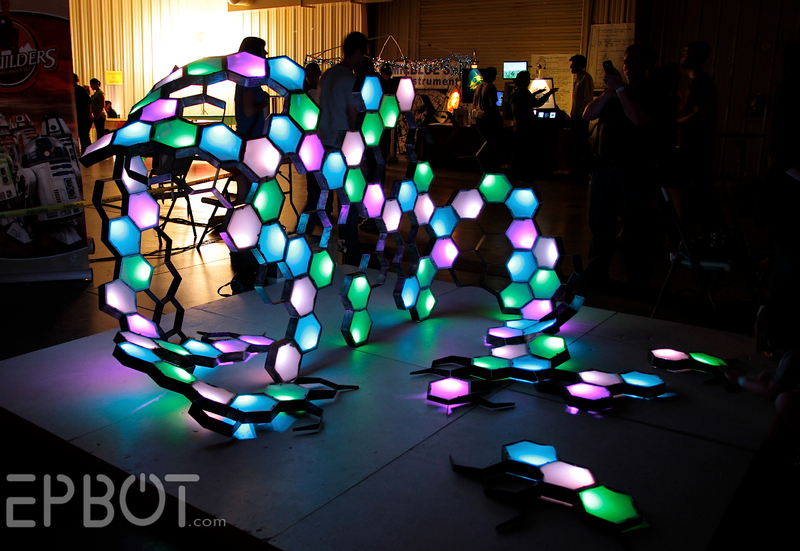 This is a large metal and plexiglass sculpture. The colored lights changed over time - quite pretty. I don't think I've seen this little guy before, though. AND I LOVE HIM. John and I talked weathering finishes with Jason for a long time, and now I have some new ideas to try! 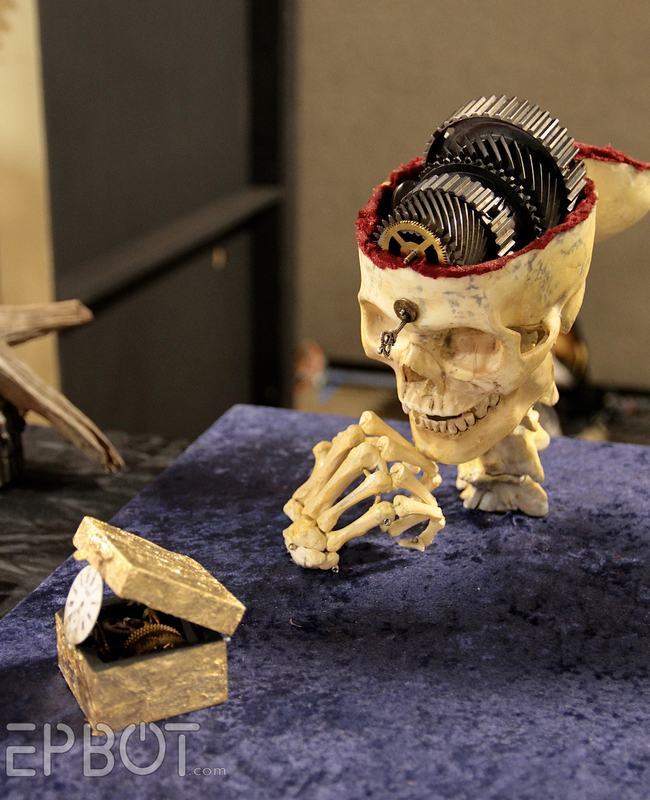 I like how the heart is emerging from hot coals - and the "thinker" pose on the skeleton is pretty rad. Both pieces are by Aleric Art, and are actually on sale at Etsy right now, if you're interested. 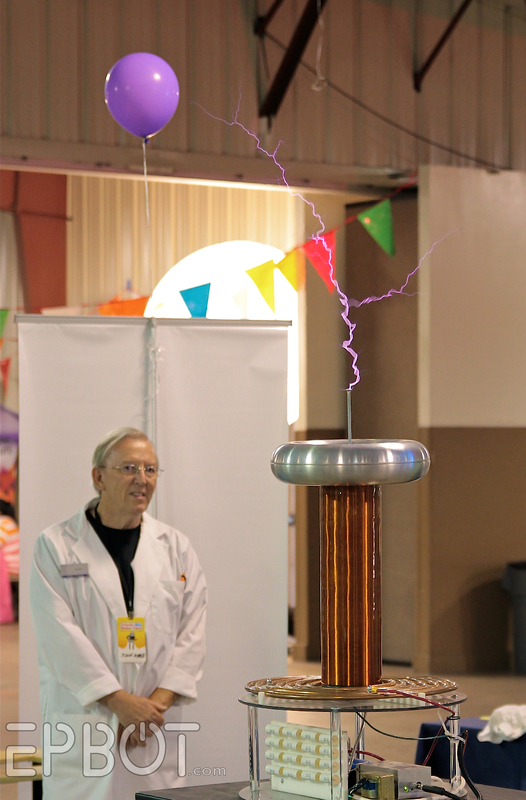 So that was the Orlando Mini Maker Faire! Hope you guys enjoyed visiting it vicariously through me. Sadly I don't have any pictures of the cat show - some of those cat show people are a leeetle bit scary, and I didn't want to chance it - so you'll just have to imagine me and John and our friends Scott & Missy tip-toeing down the aisles and peering longingly into all the cat houses while their owners glared at us suspiciously. Hee. Oh, and Happy Memorial Day to my fellow Americans! Today I plan to practice some more painting finishes on my current craft project and then finish the 1,500 piece jigsaw puzzle I've been working on for months. How 'bout you guys? 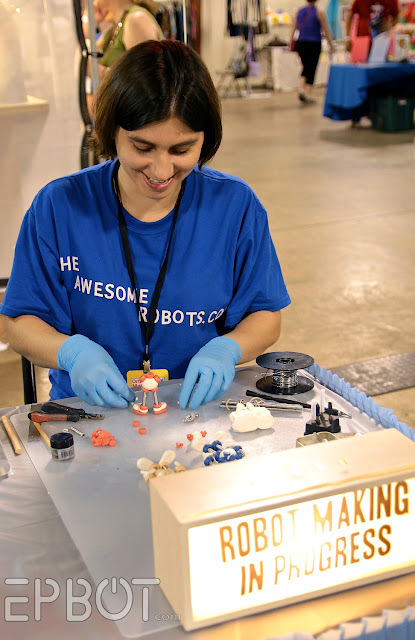 "After reading your post today about the makers fair, I simply HAD to write to tell you about the robots at the beginning of the post. As I intently scrolled down the page, I immediately recognized the bots in your pictures. Well, not those ones specifically, but the program they're with. 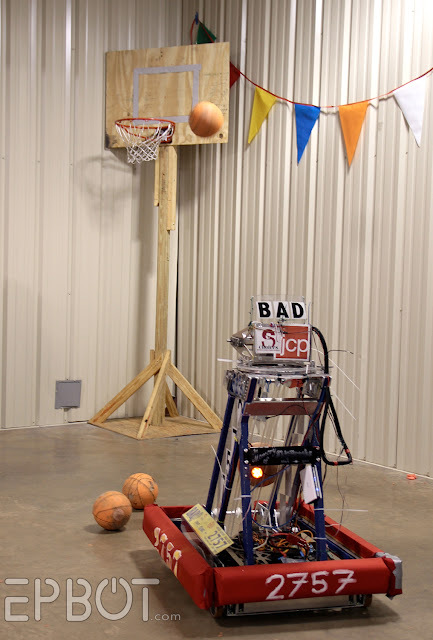 FIRST Robotics is an international competition that brings young people together in the name of, well.... robots. And geekery. FIRST has several programs for different age groups, starting at 5 years old or so. 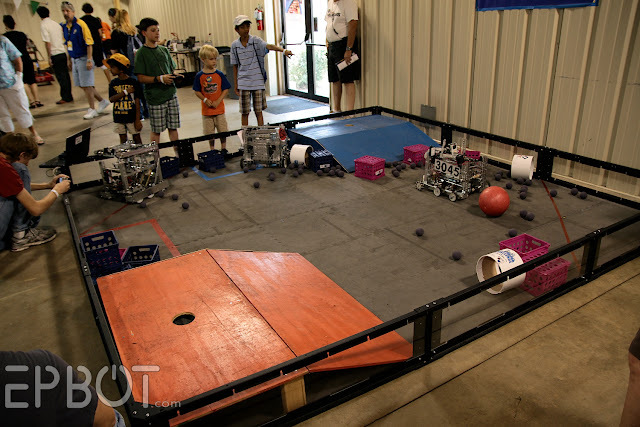 In the first picture, with the smaller robots, is the FIRST Tech Challenge, and the second with the big one is FIRST Robotics Competition. But both of these are completely comprised of high school students, so those fabulous bots were built by kids 13 to 18 years old! I know more about the basket-ball shooting one, because that's the one I'm in, so I'll talk about it. 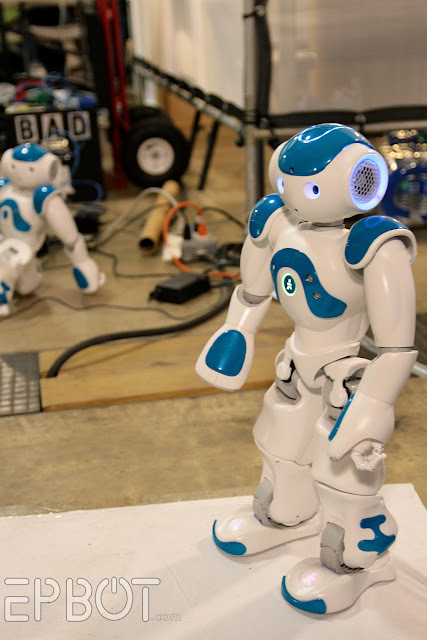 Beginning in January, teams are given six weeks to design, build, code, and test a robot to complete a given task (given at the start of the build season). This past year it was a more complicated version of basketball. Teams are given a basic kit of parts, but are expected to make or buy anything else they need to make their robot run. Teams then compete at regional and (inter)national levels. So, yes, those robots (and their teams) belong at a Maker Fair. I'll make a shameless plug here and invite you to tell any kids you know who are inclined toward making stuff to look up a team in their area. And teams can always use the help of adult mentors and monetary contributions. *nudge, nudge*"
The lady in the cool black and white outfit? Not steampunk- she's a Pearly Queen! Um, if that dress is decorated the way I think it is (With BUTTONS!!!!!) 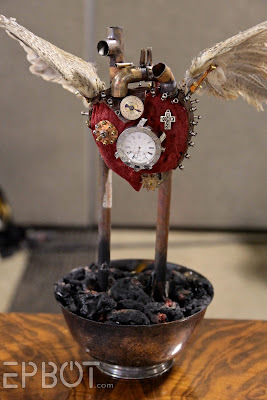 I think she qualifies as steampunk. I am so stealing this idea- what a brilliant way to use all those white buttons everyone always loses! Thank you for all of the great pics! Where is the video of the singing fruit? I would love to watch creepy fruit sing, but I don't see the video... Am I missing where to click or is something up? Happy Memorial Day! My family returns today, ending my glorious nobody-needs-anything-from-me vacation, so I intend to spend these last few sweet hours of freedom playing video games before I am descended upon by husband and three year old. Gosh I'll be glad to see them. Enjoy your craftiness! I'm so jealous, with all those robots I would have been in heaven. I will be making my niece's 4th bday cake next weekend. It's a fairy party so it include toadstool cupcakes. Wow, such a creative group of people! But, the video of the fruit dudes isn't showing up :( maybe it wasn't included in the post? That looks like a lot of fun and I'm now wondering if they have one in CT or PA...anyhow, just to let you know, the video of the singing fruit did not get posted. 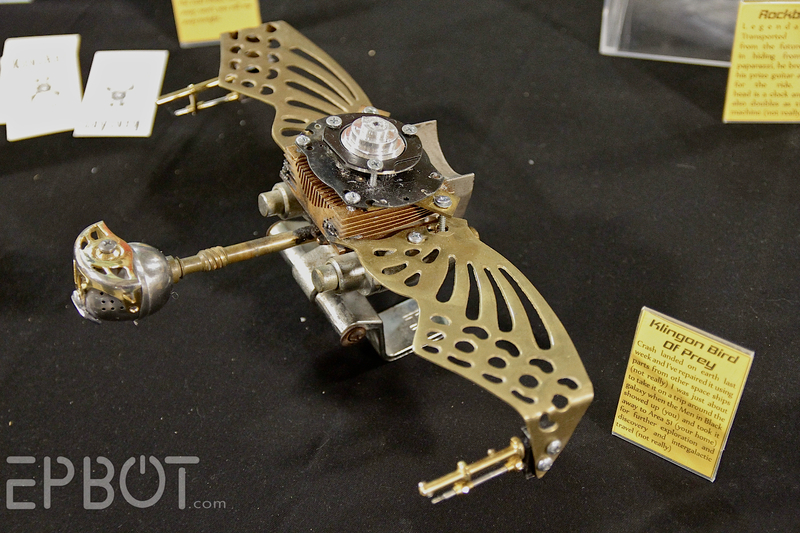 The Klingon Bird of Prey's wings are from a brass butterfly. They came in a set of three and hung on the wall. I used to have them. looks awesome! 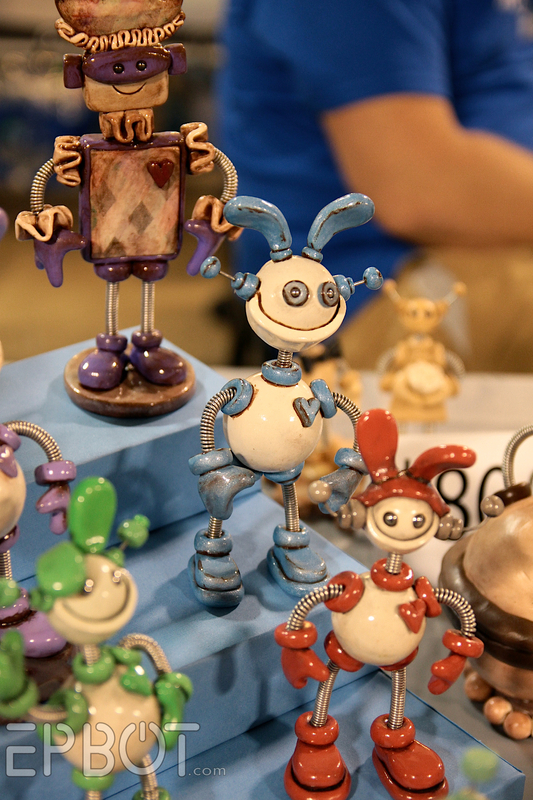 I have always wondered about the mini maker faires. It looks like they are just as fun as the big ones! Also looks less crowded so you'd get to spend more time talking to the Makers. We have a hairless cat. Her name is Piglet and she is exactly everything you imagine. She is soft and warm. She loves to cuddle with her humans and she is really friendly. She just turned 11 in April. She has her own Facebook page look for Piglet the Sphynx. Ooohh. Those first two pictures are FIRST robots from the high school competition. Very cool, and definitely worth playing around with, even if one is not on a team. Oh Aileen, you beat me to it! But in case a second endorsement is of any value - she IS a Pearlie Queen. Although it does seem she's steampunk'd it up some. I just recently discovered that there's a group of pearlies in Mary Poppins! Did you notice them? I just about squealed when I caught it, I think pearlies are so neat! 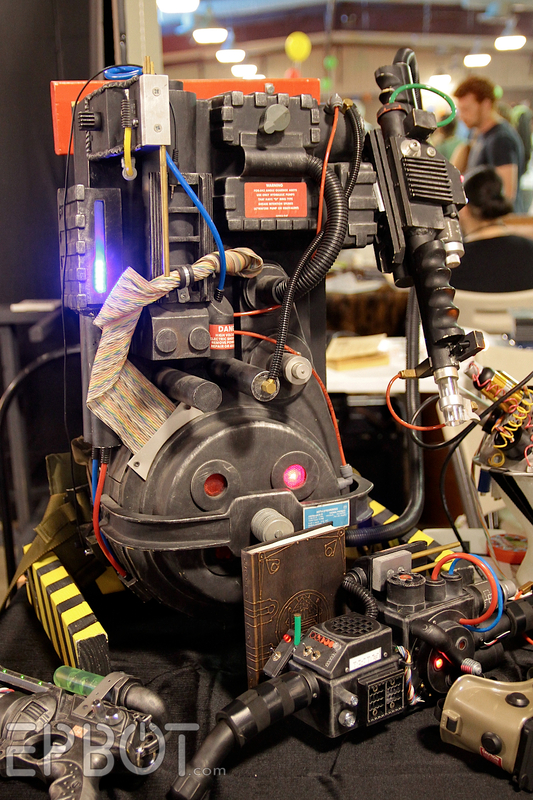 You have no idea how excited it made me to see robots from F.I.R.S.T. competitions! The little ones are from Tech Challenge, while the larger ones are FRC (FIRST Robotics competition) 'bots. I participated in FIRST Robotics all four years of high school & it is fantastic! 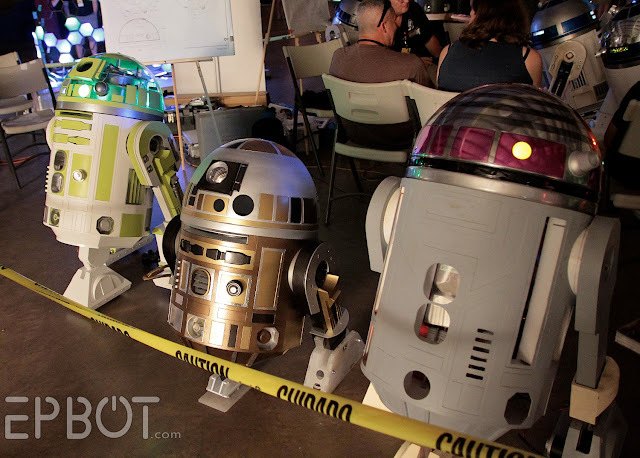 Definitely a fun (& geeky!) extra curricular & one that deserves more press than it seems to get! The Bird of Prey's body (square bit) is a heatsink used to cool electronics such as processors and amplifiers. They come in so many weird and wonderful shapes I imagine they'd be a goldmine to imaginative creative folks - even the ones that aren't you know actually made of gold! I live in orlando too, why didn't I know about this faire! Went to my 1st Makre Faire in NYC last year. Got to meet and see Sean & The Tiv (tornado chasing fame) - MOST EXCELLANT FUN! LOVE the pics! You and John sure have a lot of fun. Thanks for sharing. glad you had fun, but i have something completely different to share with you. also, my husband's co-worker breeds hairless cats and said they are like a really soft, hairless part of you. like maybe the inside of your forearm. 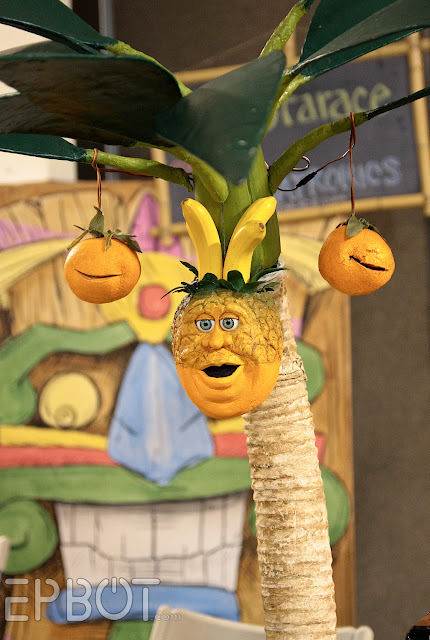 The singing pineapple has the exact same facial expressions as a really nasty woman who used to work for me. That takes creepy to a whole 'nother dimension!! Yes the Klingon Bird of Prey had wings that were from a butterfly, a tea ball for the head, parts from our old hot cold shower tap and yes a heat sink. You can see more pictures of it here including it as a work in progress before it was finished. 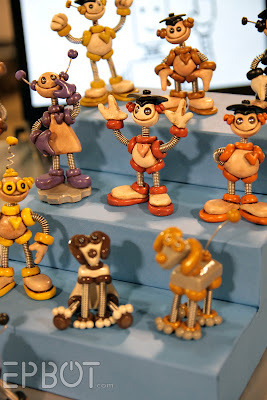 Thanks for including my work on your blog and other great pictures from the show. Thanks so much for posting these photos! I was stuck at my booth most of the day (still totally fun) and didn't get to explore the other "makers" as much as I would have liked. There were so many fun and friendly people there! I can't wait to go to another event like this. And if you want to really meet friendly cat people- find the Savannah breed section ;) They are the friendliest group around! Sorry to hear you had a less-than-pleasant experience with the cat show exhibitors. I show my two Sphynx, and have always made time to be friendly to visitors who are curious about them. Before I started showing, I always found exhibitors to be friendly and informative when approached. Hopefully this was an isolated incident. And...you can come pet my Sphynxies anytime! They feel sort of like warm suede, incredibly soft! Once you've petted them you can't stop! So cool you made it to a mini! I've heard they are just about the right size for really getting to talk/interact with the makers and do-ers. We're stuck (ha!) with the giant original, which has pretty much outgrown the venue. Very cool that so many people are interested, but kind of hard to do/see fun stuff anymore. I like cat shows too, but seriously? the people? And they say geeks are strange. Totally love the maker fair - what a great idea. If you really want a chance to pet a Sphynx cat, a friend of mine is about to move to Orlando and she has one. I'm sure she could set something up for you, haha. You can find her on Facebook under the business name Photokisses. I've been owned by two Cornish Rexes... one was fluffy, the other felt like the top of a baby's head. They give off an incredible amount of heat and are softer than any cat has a right to be. Love them and their personalities. They really want to be with people and are very affectionate. My boy Pootsie lived to be 21!